Boost funding, online giving and other resources are awarded to qualifying fundraising campaigns based on medical diagnosis, financial challenges and fundraising activities. Applications are reviewed weekly. Funding is prioritized for individuals/families burdened by substantial expenses due to a catastrophic medical condition. In follow-up to a 90 day campaign, recipient/families are not eligible for additional funding for at least 1 year. Part 1 of the application requests information about fundraising activities, to be completed by the fundraising champion of the fundraising effort. Please review the eligibility checklist available HERE or at lendahandup.org/apply-for-help/ before proceeding with the Lend A Hand Up Application. All requirements must be met for the application to be considered and approved. You must have the following information available to complete the application. Name and contact information for the fundraising champion - Attach a letter summarizing how and why you will promote and support this fundraising campaign, or forward separately along with photo ID verifying your residency. Contact information for two other community members willing to endorse the campaign with an email, note or letter - Attach letter from one or both individuals summarizing how and why they will promote and support this fundraising campaign, or forward separately. Benefit Fund Information - Forward documentation from local bank/credit union verifying bank name and address, benefit fund name and type (checking preferrably), and account signers (one recipient/family member, one volunteer who is not an immediate family member nor lives in the same household as the recipient). Learn more in our "how to" toolkit at lendahandup.org. Information about Fundraising Campaign Activities - If applicable, attach event flyer. If you prefer to print and complete an application on paper, do not use this form; instead use the attached printable PDF application. Must be someone who does not live in the same household as the recipient. Please include information for two community members willing to promote and support this fundraising campaign. Confirm that a benefit fund is established at a local bank/credit union with at least two authorized signers; including the recipient (or a family member) and a volunteer listed in 1A or 1B who doesn't live with the recipient. NOTE: Please complete this section with known and/or planned information. If unknown, answer TBD. Please forward the benefit documentation separately. 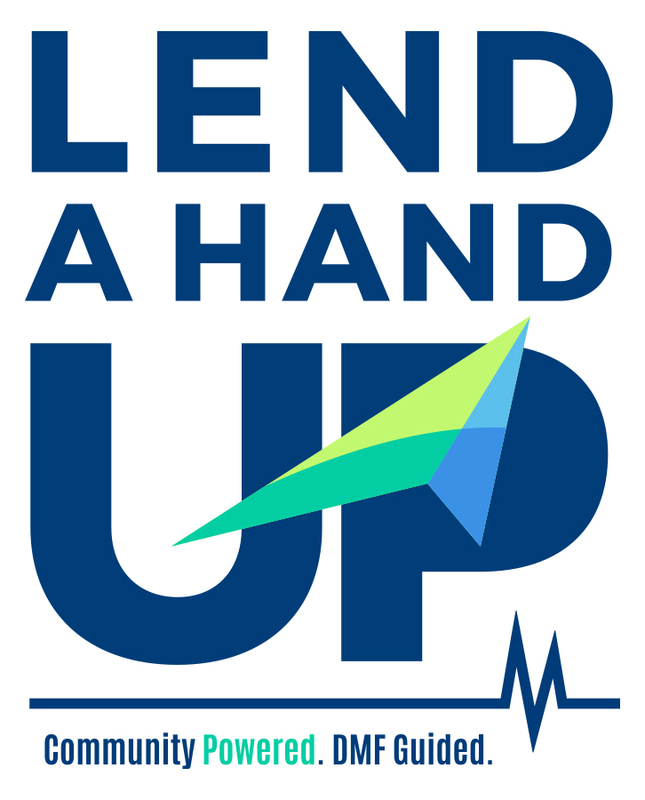 If approved, boost funding will be awarded based on online gifts made through lendahandup.org. Gifts raised through other sites and cash/check gifts are not eligible for boost. If approved, boost funding will be awarded based on online gifts made through lendahandup.org as well as cash and check gifts deposited into the benefit fund at the bank. * A benefit may be added to an online campaign without submitting a new application, as long as event is open to public and information is received/approved before the end of the 90 day online campaign. After 90 days, must wait one year to re-apply. (Optional) Attach a copy of a DRAFT flyer if able, allowing space for the Lend A Hand Up and Sponsor logos, online giving site and BOOST funding information. Please wait to distribute. If approved, Lend A Hand Up will forward logos and language for flyer. Through my involvement, I understand that I may have access to medical and financial information of the recipient, including verbal and written, that I will treat with utmost confidentiality and only discuss for the purpose of this application process and subsequent fundraising activities. If funding is approved, I agree to: build awareness of program support, oversee communication between program staff, recipient and volunteers and share documentation of fundraising results to validate funding. I extend assurance that all proceeds from this fundraising effort will be deposited into the benefit fund established for this recipient to pay for medical and other expenses as noted on this application. By signing below, I acknowledge that information in this application is accurate to the best of my knowledge. *In the unfourtunate event of recipient death, approved boost funding will be honored based on the amount raised up until the date of death.